CHEF’S HERB GARDEN KIT – EVERYTHING YOU NEED TO GROW 8 FRAGRANT HERBS: Live a healthier lifestyle by growing your own organic herb garden at home. Each seed planting kit includes: 8 biodegradable peat pots, 8 expandable soil discs, 8 seed varieties, 8 moisture proof vials, 8 plant markers, 8 clear water trays, and 1 instruction booklet. A TRULY UNIQUE GIFT IDEA: Know someone special who loves to garden? Imagine their excitement when they receive this unique and thoughtfully crafted gift set. A one of a kind gift for him or her under $20. Great for gardeners, beginners, kids, mom, dad, and even the most seasoned botanists. EASY TO PLANT AND GROW: Start an herb garden on your windowsill. Grow real food in your apartment. Plant at any time of the year with no stratification needed. Follow along with a comprehensive instruction manual that guides you through every step in the growing process. PRIMED FOR GROWTH: Each seed is organic and non-GMO, sourced from local growers, and stored in a moisture proof vial to ensure robust growth and germination. The set also includes the highest quality planting materials, like organic peat pots and nutrient enhanced soil. Each component was specifically chosen to facilitate seedling development. Each kit was assembled in the USA. 100% MONEY BACK GUARANTEE: We have done our absolute best to make sure this garden starter kit is the best on the market. Our promise is to go above and beyond to make sure every customer achieves the satisfaction that comes from growing your own fresh veggies. If for any reason you are unsatisfied with the product or service, we will return your money no questions asked. 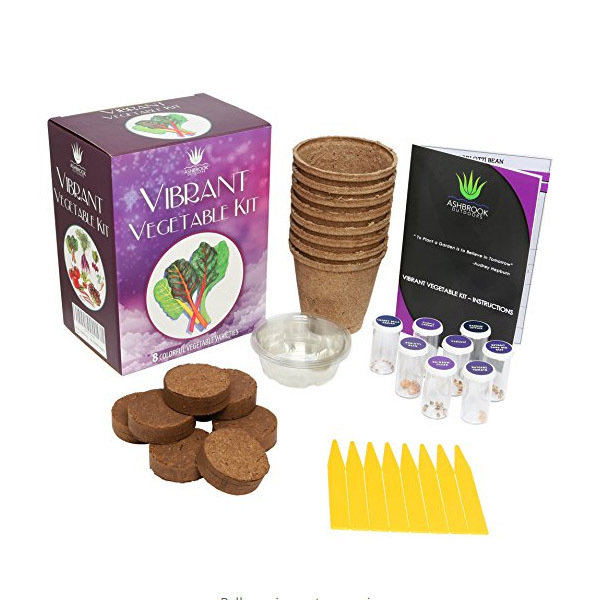 VIBRANT VEGETABLE KIT – EVERYTHING YOU NEED TO GROW 8 SUPER VEGETABLES: Live healthier by growing your own organic vegetables at home. With this home garden starter kit, you’ll enjoy 8 colorful and unique vegetables. 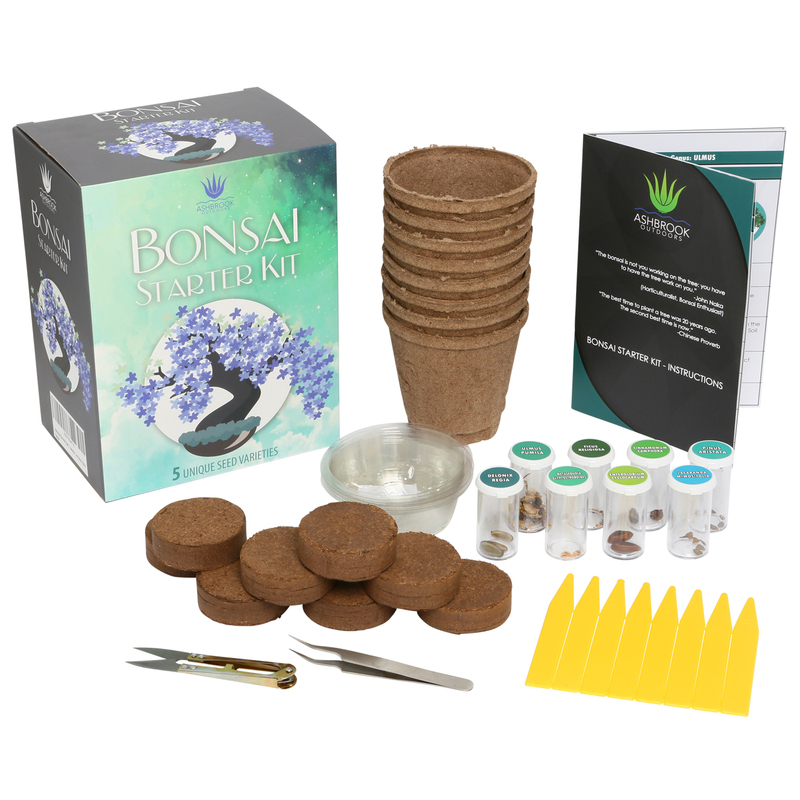 Each seed planting kit includes: 8 biodegradable peat pots, 8 expandable soil discs, 8 seed varieties, 8 moisture proof vials, 8 plant markers, 8 clear water trays, and 1 instruction booklet.